As a family, we dreaded potty training our eldest daughter. The thought of having to surrender our carpets, sofas and selves to a repeated drenching did not fill us with joy or excitement. After consulting many friends about how they did it we felt none the wiser as we were told; ‘she’ll do it when she is ready’. We were told to do it in the summer as this would be the easiest time. So we launched head into it. Knickers, dresses and potty in hand we tried putting her on the potty at intervals, starting with 5mins and working our way up. We did not make it past 15mins as every time she had a drink she would wee at about 2min intervals until her bladder was empty. My mum saw this incontinence in action as she walked around my sisters garden weeing as she was walking, playing and not caring one bit that she was getting soaked. So after 4 days of washing shoes, clothes and at least 15 lairs of knickers a day we took my mum’s advice and gave up. We tried several times again before we has success. Each time we tired something different, reward charts, prizes, clapping each time she performed and none seemed to encourage her to succeed. It was with the imminent arrival of her 3rd birthday that I really felt we owed it to her to get her into knickers. So we spent one week in pull ups and using the potty and although this got her used to the idea of going to the toilet it, the wetting did not improve. I spent the Friday night of our first week immersed in the internet looking for answers and came across some fantastic gadgets to help our daughter succeed. The iPotty was something that I was already familiar with as I had seen many reviews on television and had come across it online too. 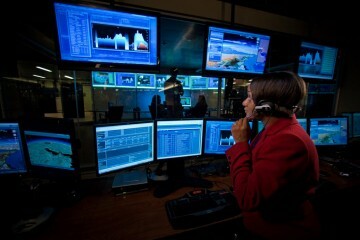 http://www.bbc.co.uk/news/technology-20957844. 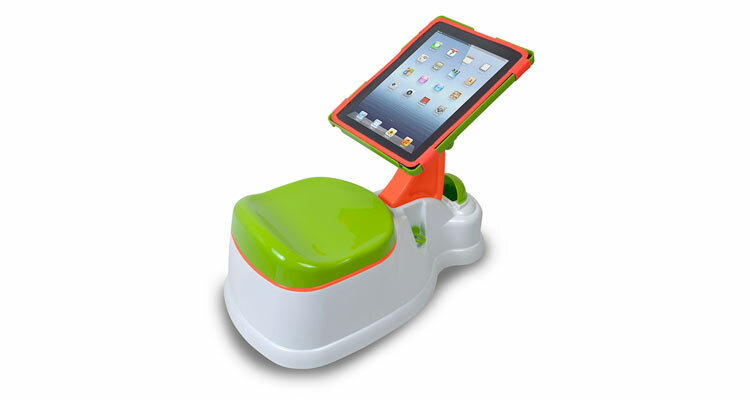 The basic idea is that the child can sit on the potty whilst your iPad is held in a holster that keeps the device free from dirty fingers. 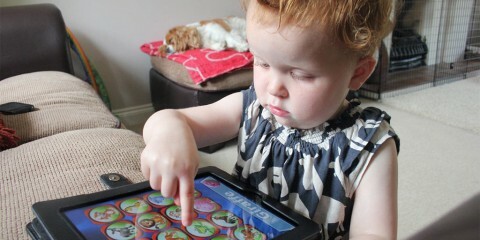 The child is then able to play on the iPad whilst going to the toilet. Although initially seems like a fantastic idea, I was not sure that it would realistically work as a potty training device. Tes, it would encourage your child to sit on the potty fro long periods of time, but would they want to ever get off? Would it just be seen as a comfortable seat with a great view? The second gadget that caught my eye was the lumipotty. 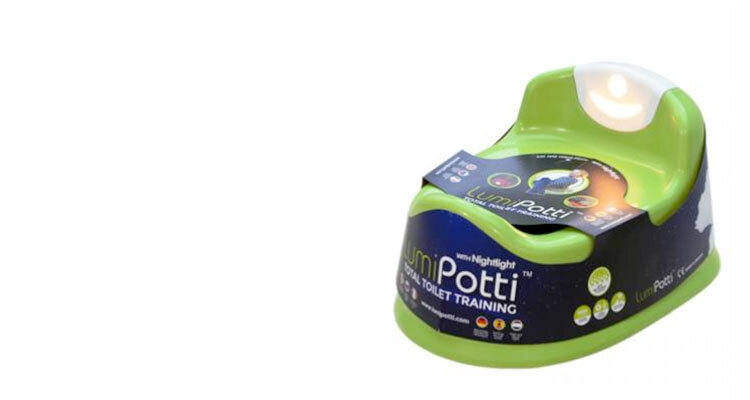 http://www.gadgetbaby.co.uk/lumipotti-the-potty-with-automatic-night-light/. This gadget was really for a later stage of potty training. The idea was that it helped a toddler find the potty when they awoke in the middle of the night. 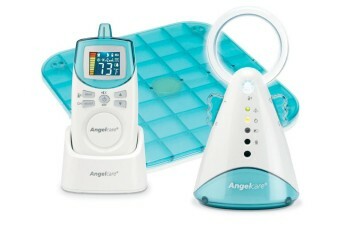 It has an inbuilt sensor and as soon as the child sits up in bed the light comes on, it then remains on until there is no movement for at least 60seconds. The light can then be removed for a later stage of potty training, when they actually need to find the bathroom. I could really see how this could help. And even though it is unlikely that any toddler would find themselves in a completely darkened room the extra light would help guide them to where they needed to be. 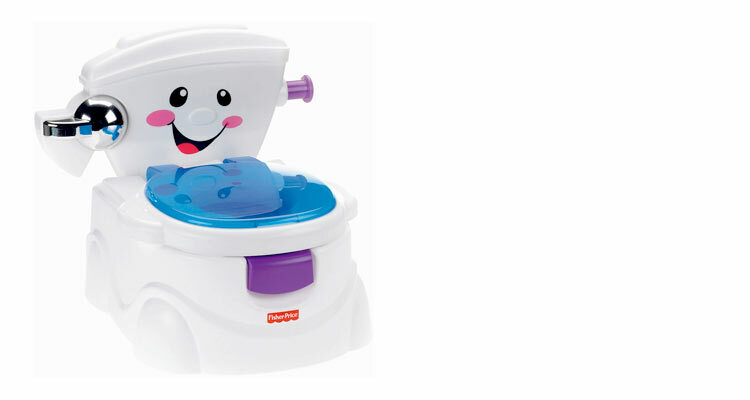 The final gadget I saw that is noteworthy is the fisher price ‘fun to learn potty’. This potty sings songs, makes flushing noises and even has it’s own toilet roll dispenser which too sings a song. It looks like a toilet, a very friendly smiley one and I could really see how this could help encourage children to enjoy using the toilet. With superb reviews across the board I think that this is really something that would work well especially when potty training younger toddlers. Throughout the next week we spent none of our hard earned cash on these gadgets. Rather we spent it on lots of pairs of knickers. Disposable covers to protect car seat, pushchairs and sofas were also a must. Most importantly our daughter was ready to be independent enough to do it this time. She had some bladder control and this meant success. Despite all the choice of gadgets to make your potty training experience a better one I really do think that all that is needed is for both you and your child to be ready to do it. Good luck to all parents that are about to start what was one of the most challenging hurdles of parenting so far. Hindsight Advice from the Depths of Potty Training Hell.